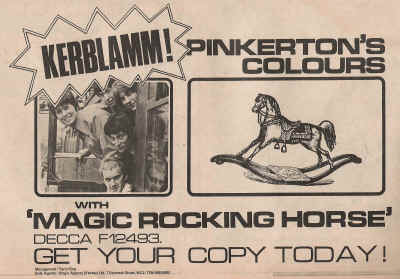 Disagreements between Eric Burdon and the other members causes The Animals to split. 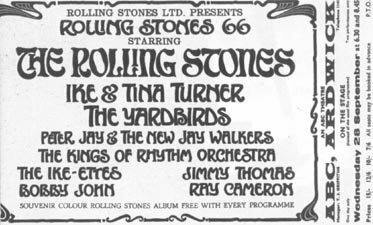 Jimi Hendrix arrives in England (24th), accompanied by his new manager, ex-Animals bassist Chas Chandler, who first saw Hendrix (as Jimmy James & the Blue Flames) at Greenwich Villages Café Wha on July 4th. The pair stage auditions for a new band at the Birdland in London on the 29th. Noel Redding (ex-Loving Kind) subsequently joins as bass guitarist. 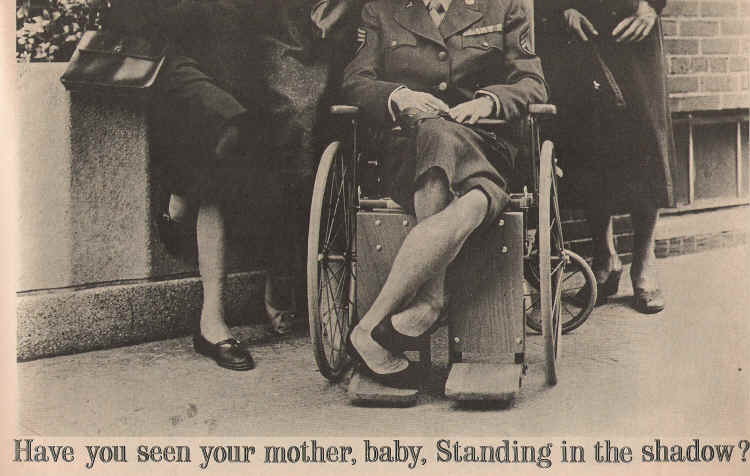 John Lennon begins filming his role in the movie How I Won The War. While on location in Spain Lennon writes and records acoustic demos of Strawberry Fields Forever. George Harrison visits India, receiving sitar lessons from Ravi Shankar. The Hollies record the movie theme tune After The Fox with Peter Sellers. Jack Bruce plays bass on the recording while Burt Bacharach adds piano to his own composition. 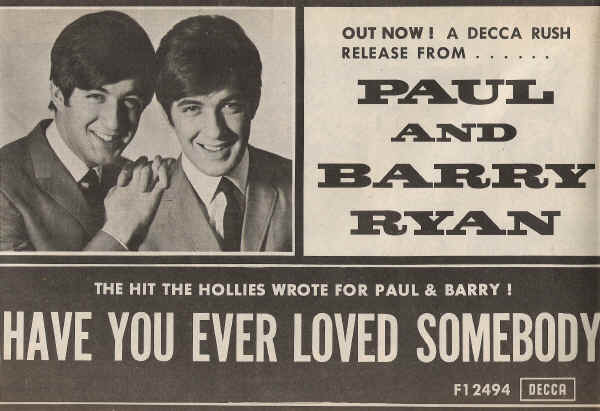 Pop duo Paul & Barry Ryan angrily accuse The Searchers of stealing "Have You Ever Loved Somebody", a song that the Ryan's claim had been specially written for them by The Hollies. 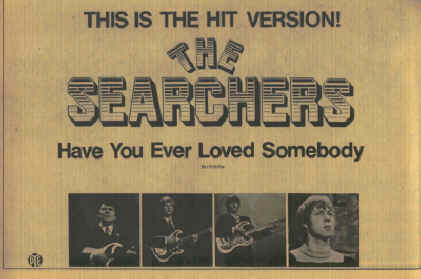 The Searchers' version is issued as a 45 a week before the Ryan's single is released. 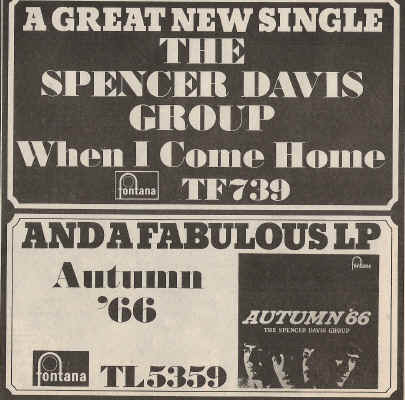 Both versions subsequently stall in the bottom rungs of the Top 50. 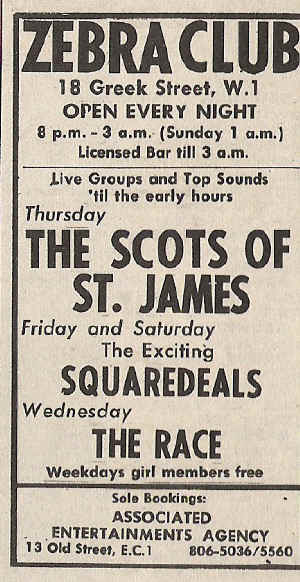 Southend R&B group The Paramounts split up. Singer/pianist Gary Brooker teams up with lyricist Keith Reid and the two begin writing songs. The Rolling Stones appear on the Ed Sullivan Show (playing Have You Seen Your Mother Baby) with Brian Jones sporting a plaster cast on his right hand. He had broken it while visiting Tangiers. Organist Brian Auger and vocalist Julie Driscoll form The Trinity from the ashes of R&B "Supergroup" Steampacket, which plays it's last gig in Chester on the 19th of this month. Steve Winwood is reported to be producing a new group, Wynder K Frogg. 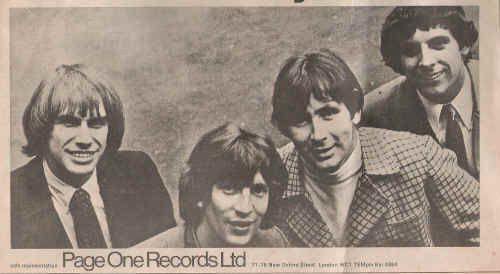 Disc prints a picture of a new group, M.I.Five, whose drummer is future Deep Purple stalwart Ian Paice. 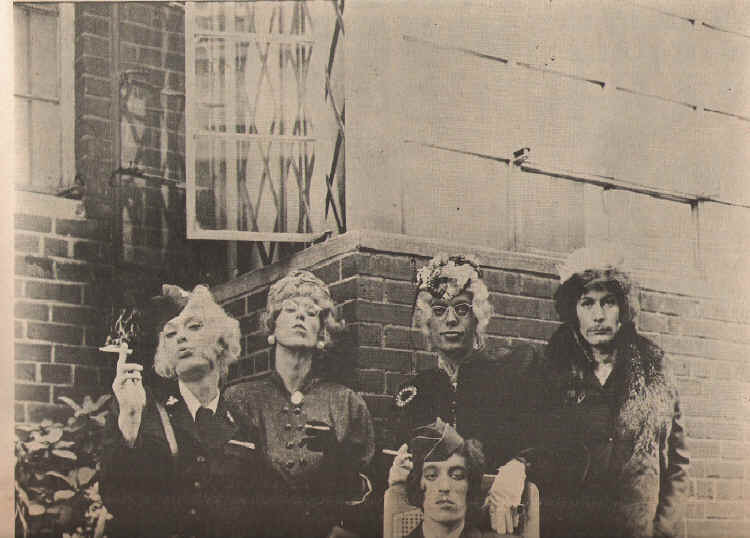 The Rolling Stones open a 12 date package tour at The Royal Albert Hall (23rd) amid scenes of teenage delirium. 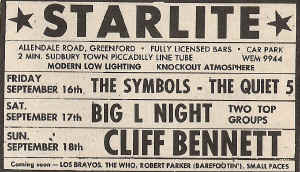 The Yardbirds are among the supporting acts. Other dates this month as follows: Leeds Odeon (24th), Liverpool Empire (25th), Manchester ABC (28th), Stockton ABC (29th), Glasgow Odeon (30th). For further dates see October page. 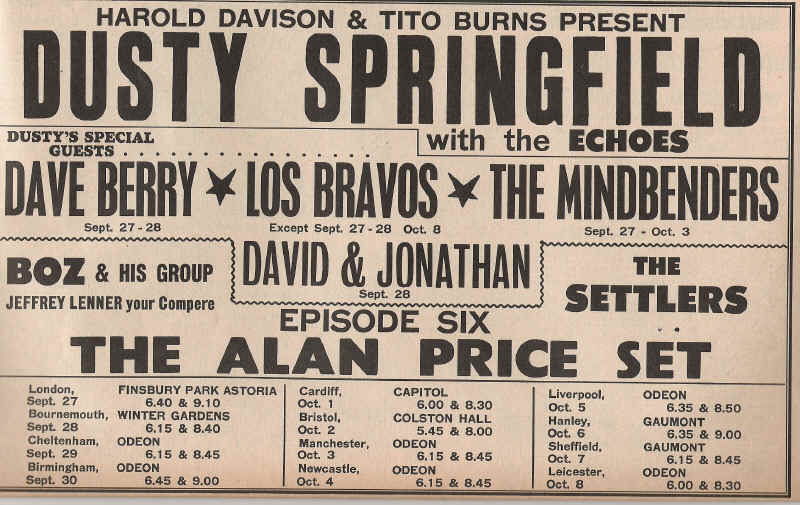 Yet another package tour begins its roll around the UK with a show at Finsbury Park Astoria (27th) Star of the show is Dusty Springfield, but among the supporting cast are Dave Berry, Los Bravos, The Mindbenders, Boz People and Episode Six. Other dates this month: Bournemouth Winter Gardens (28th), Derby Gaumont (29th), Birmingham Odeon (30th) Further dates in October.